Another month has passed us by, and another month full of wonderful films (and some stinkers). So, here what I viewed this past November. Prevenge - 4.5/5 - The directorial debut of Alice Lowe shows her to be more than just a triple threat. She wrote it, directed it, and starred in it, all while she was heavily pregnant. It makes the final product all the more impressive, especially when the final product is this good. She excels in all three aspects, as grief takes a blackly comedic, and very murderous form. An impressive little gem from this year, and I'm very excited for where the future takes Lowe. Pokémon: The First Movie: Mewtwo Strikes Back [rewatch] - 3.5/5 - I haven't seen any of the films for a long time now, and this one hasn't been viewed by me for close enough to 15 years. A part of me was worried that nostalgia could only take me so far, and that I would hate this film. This makes me thankful how the film held up much better than I expected. The story is an engaging one, although I wonder if it'd turn off many who are less than familiar with the franchise. The main message is how we should try and treat others how we'd want to be treated, and is a pretty decent message which could be embraced by many all over the world. Granted, the film has some shortcomings, such as Mewtwo being characterized as an emotionless tyrant. Then there's the overall message of how Pokémon fighting is bad feels quite contradictory with the franchise, especially when it's a message that's forgotten about by the end. It does feel more like a tale to close off the franchise, as was the original intention, as opposed to one where the show can resume its usual duties afterwards. However, for a first movie to a popular childrens product from the 90s, it's better than it has any right to be. Although, what kind of idiot trainer doesn't know his Pidgeot is not a Pidgeotto? Pokémon The Movie: I Choose You - 4/5 - Going to the cinema to watch a Pokémon movie, and getting a promotional card. Is this the year 2000, or 2017? As part of the franchises 20th anniversary, this special film was released to honour it all. It's a wonderful nostalgia trip, sure, but it's a pretty decent animated film in its own right. Storylines from the anime are selected, expanded upon, and condensed into a 98 minute film. The result sees Ash only capture 3 Pokémon throughout (so much for catching all of them), but each one is a part of their own significant storyline, and carries genuine emotion to them. A lovely tale which honours the franchise, even if some character motivations aren't so well expanded, and Team Rocket are largely superfluous to the whole thing. Also, thank goodness they went back to the original animation, rather than the awful style adopted for the Sun and Moon anime. Dr Strangelove or: How I Learned to Stop Worrying and Love the Bomb [rewatch] - 4/5 - What Stanley Kubrick has crafted here is incredibly witty, very clever, and a deftly handled piece of work. Although, in spite of some good lines (the Coca Cola one and "the premier likes surprises" are gems), I can't say I found it hilarious. It barely scraped by on its laughs. Murder on the Orient Express (2017) - 4/5 - Now, this one I rather enjoyed. A meticulously crafted thriller, where viewers are left to feel as enclosed on the setting as the very characters we're watching. An all-star cast act very well, even if a number feel underused, with a terrific Branaugh leading the proceedings. One to have fun with. A Bad Moms Christmas - 2/5 - Another Christmas season, another mediocre film to cash in on the festivities. Pilgrimage (2017) - 3/5 - Brendan Muldowney directs a story which has interesting ideas about religion and faith, elements which are fall behind. In its place, the importance is put upon the road trip style narrative, and the gory moments which often occur. A jarring decision is to have the characters change what language they speak, as though Muldowney was unsure whether to have everyone speak the language of their characters, or make it English, so flits between the two options. Moments like these easily take one out of the narrative, which is a shame when Tom Holland, Richard Armitage, and especially Jon Bernthal do so well in their roles. You Were Never Really Here - 5/5 - A brutal and unflinching thriller, what Lynne Ramsay has crafted feels like Taken if it was helmed by a more thoughtful director. The focus is on the fractured psyche of Joe, our lead who's clearly suffered from PTSD. This element takes precedence over any gore and violence, and Joaquin Phoenix is more than capable of putting across this inner turmoil, as he puts in an absolutely phenomenal performance. Complete with a stunner of a score by Johnny Greenwood, this is a fantastic 85 minutes which make for a tremendous watch. Dogtooth - 4/5 - Between loving The Lobster and anticipating The Killing of A Sacred Deer, I decided to finally view the picture which put Yorgos Lanthimos on the map. What he's directed here is an intriguing and engaging piece of surrealism, taking a look at parents who raise their children to be nothing short of utterly obedient. This stems from telling them lies, from small ones like "Sea" being a word for a chair, to a child being unable to leave the house until their dogtooth falls out. This leads to unbelievable moments which prove shocking and tense, such as the children reacting to their first sighting of a cat. The bizarre nature gets a bit too much at times, and reaches a point where one feels the writers didn't know what to end it with. Still, this is one tale that's not easily forgotten. Thelma (2017) - 4.5/5 - Taking inspiration from Brian De Palma's Carrie, Joachim Trier uses a psychic abilities to exacerbate a girl's coming into womenhood, as they find a place in the world outside of their strict religious upbringing. The eponymous Thelma is the psychic person in question, as her abilities are utilised as an allegory for sexual repression, as the feelings for her friend are complicated by her religious beliefs. While the finale takes some narrative leaps and feels a tad rushed, it's a compellingly told tale, tremendously acted by the cast. This especially counts for Eili Harboe, who's a bright young talent worth looking out for. 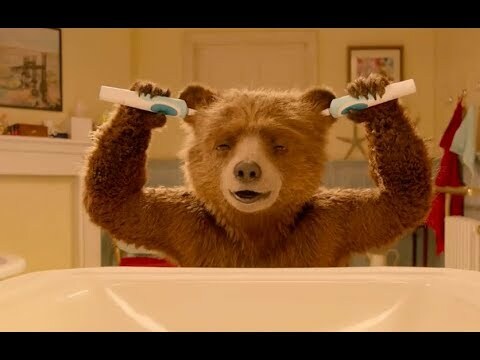 Paddington 2 - 5/5 - A pure joy that'll leave you feeling a bit better about the world. Justice League - 3.5/5 - A clash between directorial visions which is a mess, but is actually rather fun to watch. Candyman - 4/5 - Adapted from a Clive Barker short story, Candyman is a fascinating piece of horror led by an engaging narrative. As two grad students work on their thesis about urban legends, Helen Lyle (Virginia Madsen) comes across that of "Candyman", which she accidentally summons. Leading the tale with this urban legend, director Bernard Rose crafts an unsettling tale which proves downright bone-chilling, with the Phillip Glass's score adding to the tense nature. A piece of horror one won't easily forget. Fifty Shades Darker - 0.5/5 - The true punishment is in watching this dross. Mayhem (2017) - 4/5 - This was everything The Belko Experiment failed to be. Joe Lynch crafts a blood soaked thrill ride throughout an office block, as energetic thrills are served up alongside a great amount of comedy, as well as some satire. Steven Yeun excels as our engaging lead, while Samara Weaving is excellent in her role. The two absolutely kill it with the material. Three Men and a Baby - 2.5/5 - A film that cruises by on the charm of its likeable leads, as Tom Selleck, Steve Guttenberg and Ted Danson deftly deliver the charm during the fluffy and unfunny main plot, involving the baby. It's a shame about the needless subplot involving drugs, which brings things down and adds an unnecessary darker edge to what's an inoffensive and throwaway picture. 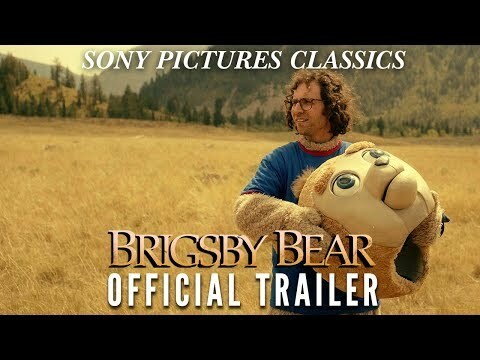 Brigsby Bear - 4.5/5 - What a wonderful picture from Dave McCary. Coming off like a combination of Room and Be Kind Rewind, the story tackles the effects of abuse on James, our lead whose life is turned upside down with revelations. His coping mechanism is the eponymous Brigsby Bear, a TV series created just for him, which he intends to finish off by making a feature film. The tale is handled in such a touching and heartfelt manner, making for one of the years better surprises. Bill (2015) - 3.5/5 - A picture that never takes itself too seriously, as the team behind Horrible Histories devise a humorous take on the Bard himself, complete with an assassination plot, puns, Russian terms and conditions, and a man disguising himself as a pie. Not all of the gags land, and it isn't as funny as it could be, but it remains a good time.